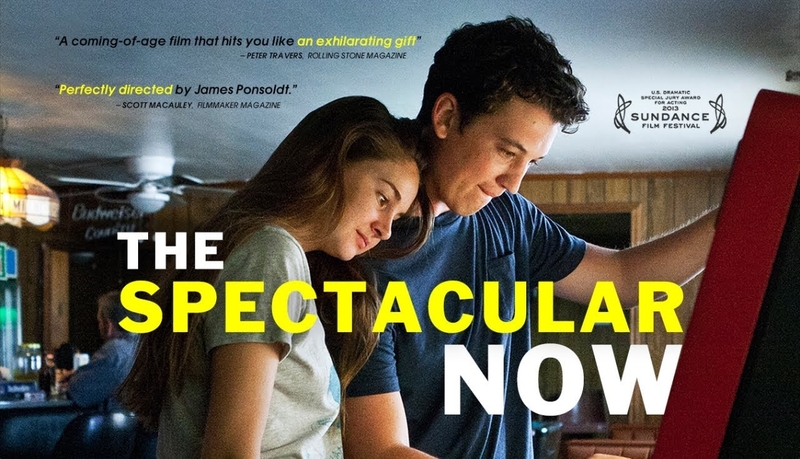 James Ponsoldt’s The Spectacular Now, based on what must be an extremely well-observed novel by Tim Tharp, is simply the best teen drama, or coming of age film, I’ve seen in years. Perfectly performed by young actors with an incredibly mature balance of naturalism and spark, the film is funny, immensely charming, moving, and inspiring. I left with goosebumps. Miles Teller, who has the unusual, left-field charisma of the young John Cusack (and that’s high praise indeed) plays Sutter, who lives in the “now”, which causes him day-to-day happiness but may prove to cause longer-term regret. When he meets Aimee (Shailene Woodley, so brilliant as Clooney’s older daughter in The Descendants, and perfect again here) he starts to learn a few things about growing up. Set in the last year of high school, The Spectacular Now leans most heavily on these two and their personal story, with their many scenes together so well written, performed and directed that they may find themselves sneaking into two-hander dialogue classes at acting colleges throughout the world in coming years. But Teller and Woodley are ably supported in small roles by Brie Larson, Kyle Chandler, Jennifer Jason Leigh, and, in a role radically different from “Bubbles” on The Wire, Andre Royo. There are no huge laughs, no comic set pieces, and no forced emotion in The Spectacular Now, and I don’t think it’s really actually meant for teens. It’s tasteful, graceful, smart… and mature. Highly recommended.